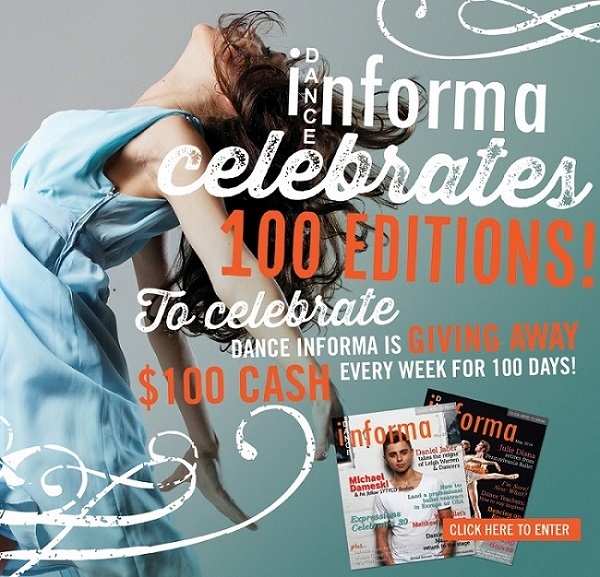 Dance Informa magazine celebrates 100 editions! Dance Informa released its first edition in February 2007 and quickly became Australia’s largest dance magazine. After much interest from America, a US team was formed and the first US edition was released in February 2011. Dance Informa has now published over 100 editions, enjoyed by over 100,000 members across the globe! 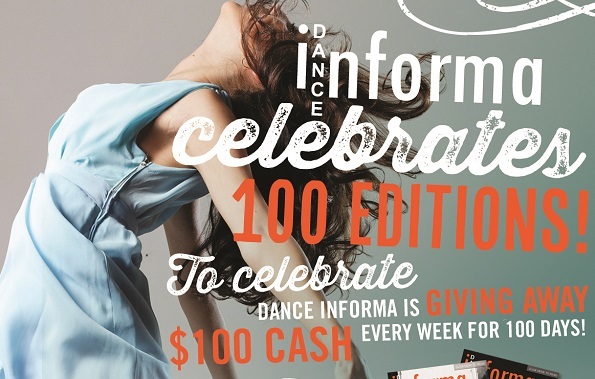 To celebrate Dance Informa is giving away $100 Cash every week for 100 days! Dance Informa’s editorial team will pick a new winner each Friday and a $100 check will be mailed to each winner! Open to residents of Australia and the USA (except residents of Rhode Island). Money will be sent in winner’s currency. Competition opened May 19, 2014 and closes August 26, 2014. Get in your entries before the competition ends! Click here to enter to WIN Cash!